Hell yes. I guessed it when Def Jux announced they were to release Dizzee Rascal “Maths + English” in the US. 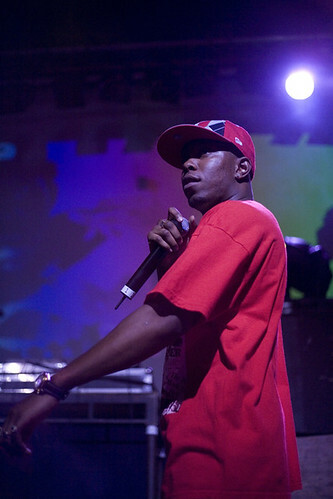 Coming in May is a Dizzee and El-P tour of the states. ” It looks like Def Jux‘s partnership with Dizzee Rascal to release Maths + English in the U.S. was the beginning of a beautiful relationship. And the latest result of that relationship is a juicy tour featuring Dizzee and label honcho El-P. After they play the Def Jux SXSW showcase in March (alongside Del the Funky Homosapien and Devin the Dude, among others), the two will take North America by storm in May. Another El-P/Dizzee collaboration is the former’s remix of “Where’s Da G’s [ft. UGK]”, which will appear on the aforementioned U.S. release of Maths + English on April 29. According to El-P’s MySpace blog, that remix isn’t the only studio work he’s done recently. He also remixed the Mars Volta’s “Goliath”– from new album The Bedlam in Goliath— and he’s preparing some sort of studio follow-up to I’ll Sleep When You’re Dead.